To be certain, the aviation advantage we eventually achieved on both the European and Pacific fronts of the war was due to the efforts of many parties – the Army Air Corps, Navy, industry, university labs, our Allies, and the NACA. On April 11, 1946, Eisenhower visited the National Advisory Committee for Aeronautics (NACA) Aircraft Engine Research Laboratory in Cleveland, Ohio (today the NASA John Glenn Research Center at Lewis Field), to personally thank the NACA staff for their role in helping to provide the Allied air forces with control of the skies over the European theater of operations. A beaming Dr. Edward Sharp, the lab’s first director, reveled in Ike’s acknowledgement of NACA’s role. The Aircraft Engine Research Laboratory, whose research began on May 8, 1942, and the NACA Ames Aeronautical Laboratory in Mountain View, California, formed Dec. 20, 1939, plus the expansion of the NACA Langley Memorial Aeronautical Laboratory, were the physical manifestations of an NACA that grew dramatically due to the late 1930s concern that some areas of American aeronautical research were falling behind the Europeans, and the nation needed to catch up should it be dragged into war. 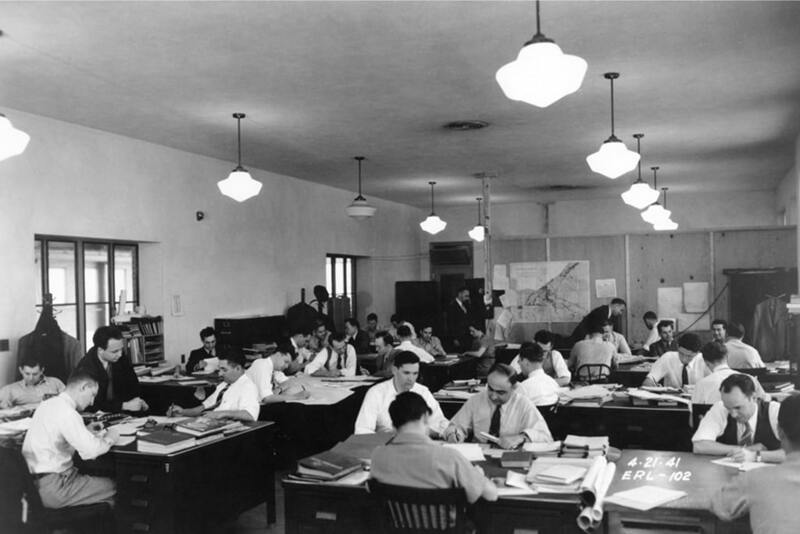 The expansion of the NACA staff and budget from about 500 people and $4 million at the beginning of World War II to more than 6,000 people and $41 million by war’s end1 was also indicative of the importance America placed on applied aeronautical research tied directly to the operational needs of the U.S. Army Air Corps and U.S. naval aviation, as opposed to the fundamental basic research that the NACA was used to conducting. To be certain, the aviation advantage we eventually achieved on both the European and Pacific fronts of the war was due to the efforts of many parties – the Army Air Corps, Navy, industry, university labs, our Allies, and the NACA. And as has often been pointed out, the NACA and the rest of the American aviation establishment fell short during World War II when it came to keeping up with British and German advances in jet aviation, and in the case of Germany, rocket propulsion. While there were American scientists familiar with jet and rocket propulsion, the national and military leadership decided it was best to devote resources toward improving the performance of existing technologies and concentrate on mass production. But clearly the NACA made many significant contributions to the war effort, including improving the speed, range, and maneuverability of aircraft through meticulous work on drag cleanup; the use of improved airfoils to reduce drag and better aerodynamic engine cooling; the development of deicing systems used to save the lives of airmen flying in the most difficult of weather conditions; improving the performance of high-powered piston engines; increasing aircraft stability, control, and handling qualities; and giving pilots a fighting chance of survival when they had to ditch their planes in the ocean.